Dentures are a dental appliance that replaces missing teeth. If you suffer from some missing teeth, or if you’re missing all your teeth, Dr. Ricky Leung will look into a denture solution for you. If you’re missing all your teeth a full denture will be custom made to fit your jaw shape and structure exactly, so that you feel comfortable with your new set of teeth. Dentures look and function exactly like normal teeth. They will give you your self-esteem back and the confidence to show off your smile again. 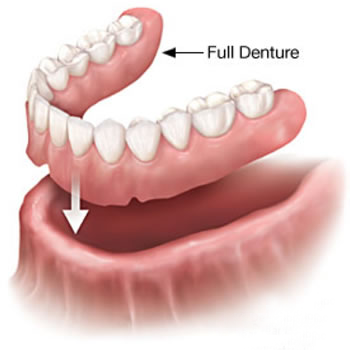 If you are missing just some teeth, a partial denture can be made to replace only those missing teeth. 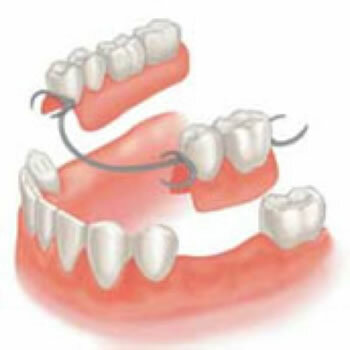 Dentures can be fixed or removable. Dr. Leung will discuss your denture options with you, understand your preferences and finally recommend the most suitable denture solution for you. Dentures are very durable appliances and will last many years. They may have to be remade, repaired, or readjusted due to normal wear and tear. You will be given instructions on how to take care of your denture. Proper cleaning of your new appliance, good oral hygiene and regular dental visits will aid in the life of your new denture.